New Scientific Evidence for Amblyopia Treatment…Two Eyes are Better than One! Those of us who have had the privilege of years in practice, working with children in the optometric specialty of developmental vision, realize that few things surprise parents more than learning that their young child has subnormal vision in one eye. The observation on a mother’s face when she learns that her happy-go-lucky 5-year-old little boy or girl has a form of reversible blindness known as Amblyopia (lazy eye) can be unsettling. More specifically, there exists a relatively common form of lazy eye known as Refractive Amblyopia which typically has no observable signs or behaviors. It exists even without an eye crossing eye condition (strabismus) that would alert the parent that something is wrong. Sometimes a child is first identified by the Pre-Kindergarten School Screening and then referred to the primary care Optometrist. Other times it may be that the parent simply decided to have their child’s eyes tested at the time when their child started to recognize their letters. What ever the reason for the child finally ending up in the eye doctor’s examination chair, there are simply too many children diagnosed with Amblyopia beyond the age when it could have been prevented if detected in infancy. Even in spite of the good intentions of public health initiatives such as AOA’s InfantSEE Project, a free infant vision assessment program offered by participating AOA optometrists designed for early detection and prevention of vision problems in baby’s 1-12 months old, the incidence of Amblyopia is still at about 1:50 children. In terms of Refractive Amblyopia, a child with this condition will have a serious refractive error in one eye compared to the other. For example, if there exists a significant amount of farsightedness and astigmatism in one eye while the other eye has no significant refractive error, then the large difference in focus exists between the two eyes. This in turn triggers an active response to suppress (turn off) the blurred visual signal from the eye with the large refractive error which in turn arrests the natural visual development that is needed in the baby’s visual brain. Therefore the cause of the subnormal vision (amblyopia) is due to a baby’s brain shutting off the distorted signal from the “out of focus eye” which leads to the inhibition of neural development in the infant’s visual brain. Plain and simple the child grows up and remains unable to see…even when diagnosed and the proper corrective lenses prescribed. Thus, Amblyopia, one of the most common forms of reversible blindness in children, is caused by a problem in binocular vision that happens during infant/toddler development. Now when this occurs, not only is the mother surprised to hear that her child has a diagnosis of Amblyopia, she is even more surprised when she hears the prescribed treatment; that is when the treatment begins with a regimen of daily patching (occlusion therapy) of the child’s good eye. 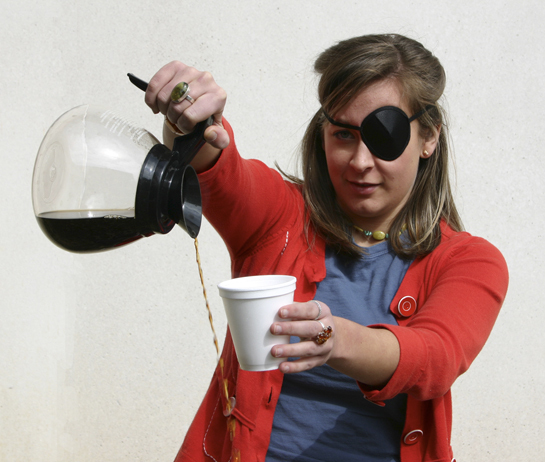 The latest attempts to make the process of occlusion therapy more palatable involve thi ngs like cute looking decorator eye patches. Another approach is to reduce the patching time to only a few hours a day. And another creative approach to “patch without a patch” is with doctor prescribed Atropine eye drops instilled into the “good eye” thus cause blurring of the “good eye” and inducing a temporary form of pharmaceutical patching. Yes even though these are more creative approaches, the thought of having to put a child through the distress of forcing them see with a “bad eye” can be very stressful indeed for both the child and the parent. After all, occlusion therapy is stressful to the child because, as far as the child is concerned, when they came in to the eye doct or they could see fine. They were a happy-go-lucky normal child. But when they leave the eye doctor, they find themselves forced to deal with the world, “one-eyed” and with blurry vision. This is also very stressful to the parents because they must now do their best, for the sake of their child’s visual welfare, use their powers of parental influence to coherse their previously happy-go-lucky child to comply with a regimen of treatment that makes them face the world, “one-eyed” and with blurry vision. And yes, while Occlusion Therapy is evidence based treatment and the standard used by many eye doctors for patients with Amblyopia for nearly 100 years, universally kids hate the treatment and compliance becomes a family battle. However, now there is good news! We are beginning to see the emergence of a new body of research in visual science that sheds light on an improved way to treat Amblyopia…and it does not rely completely on occlusion therapy. Just like modern science has found new and better methods to treat cataracts, modern science is now helping doctors to understand that it is better to treat the amblyopic patient with binocular vision therapy in conjunction with a more limited amount of occlusion (patching) therapy. The new scientific evidence is showing for treatment of Amblyopia, two eyes are better than one ! What this means for patient care is that a child who is diagnosed with Amblyopia can still function as a normal “happy-go-lucky” child even with treatment. 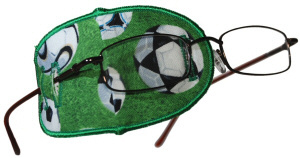 The new best practice treatment, that involves office-based doctor supervised optometric binocular vision therapy, will not only help the child “see”, thus curing the amblyopia, but it gives the child the opportunity to develop normal 3-D vision (depth perception), eye hand coordination and many other visual skills. This leads to a more productive and happy life for the child. So now, when a parent is faced with the realization that their child has subnormal vision in one eye due to Amblyopia, thanks to the new research and improved treatment options including binocular vision therapy…there is a happy ending! Eye-Hand Coordination Skills in Children with and without Amblyopia– Dr. Barry Tannen Reviews in The VisionHelp Blog an important research article published in Investigative Ophthalmology and Visual Science in March 2011. A list of 1 05 scientific papers published and accessable in Pub Med.gov, the US National Library of Medicine National Institute of Health, showing the evidence-based research on the topic of binocular vision in the treatment of Amblyopia. This is really fantastic! I will share your blog with others. My daughter, Jillian, wore a patch about 11 hours a day for 3 years. One of the consequences of this is that she is not now physically fit…OK, I’ll say it, she is chubby. But, while all the other little girls were going to gymnastics, soccer, dance, playgrounds, etc., my child was inactive due to her limited sight. I’m glad the treatment is changing. Thank you! Thank you Robin for sharing your insights and personal experiences of your daughter Jillian. You make an important point of the critical role vision makes on a child’s self esteem and that when comprimised it can actually lead to less engagement in outdoor activities and three dimensional play. And thank you for your book too. Jillian’s Story is inspirational. Love it! Oddly, as I started reading this I felt anxious. 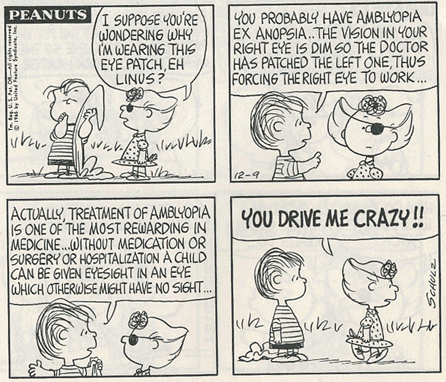 I always do when reading about amblyopia and other vision research relevant to my little Stella. I guess it’s because I’m waiting to find out that I’m going about it all wrong and that there is a better way! But this essentially describes our approach with Stella. I’m thrilled so see more and more validation of what feels like common sense to me. Stella’s been patching with tape over her lens–which to us made full compliance less stressful and, well, possible–and for two hours a day. We are definitely in the minority, so it’s wonderful to see this post and cited research backing us up. Honestly, I still worry about patching because our goal is for her eyes to work together and patching seems unhelpful in that regard. But Dr. T has assured me that the way we’re doing it will not hurt eye teaming, and as patching is just one part of our treatment approach, it’s easier to swallow. Stella’s now doing gymnastics and has made huge gains in her ability to catch, and throw to a target. Another thought–I know that esotropia can be very stressful as it can lead to decreased peripheral vision. I imagine that Stella’s been “on guard” because of this. Patching seems to exacerbate that a bit. While patching is a necessary part of treatment and we have to do it even though it’s hard, I am glad to see that the psychological impact is being respected, rather than dismissed, here. Thank you Amber for your thoughtful comment. It is so good to hear that you have Dr. T working with Stella. She’s the best! I completely agree that we can not dismiss the psychological impact that occlusion therapy can have on children. Which is why, with the new methods involving binocular vision therapy taking the dominant role, the negative impact of patching can be minimized.